Kitesurfing in Thailand is becoming increasingly popular, and for good reason. The areas of Hua Hin and Pranburi, just a few minutes from our luxurious villa are perfect for the popular activity of Kitesurfing. The beauty of trying this sport in the glorious Thailand temperatures is the waters are so warm that wearing a wet suit is not necessary. 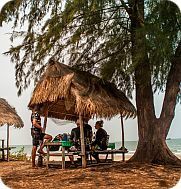 Both Pranburi and Hua Hin have various kitesurfing schools, providing lessons and rental equipment, look out for those instructors that have trained with the International Kiteboarding Organisation (IKO) such as Kite Thailand. This area is ideal for all levels and particularly beginners at the sport in the warm shallow waters and generally fairly light winds at 10 -20 knots. There is some wind all year round however the windy season is from November to May, and the kitesurfing season is best from January to May. Should you visit at a time when there is no wind however, or you fancy trying something a little different then why not try the world's first and only Kite Cable. 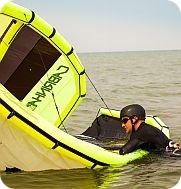 A brand new venture which allows you to experience kiteboarding with or without wind! Hua Hin is a very popular area with tourists and Thai's alike, however the beach is vast, so there is plenty of space for everybody. Even at a very popular times such as Thailand’s International Kite Festival which takes place in Hua Hin you will still find space to escape the crowds, and for the ultimate in tranquillity you can retreat back to your beautiful Thai Villa.